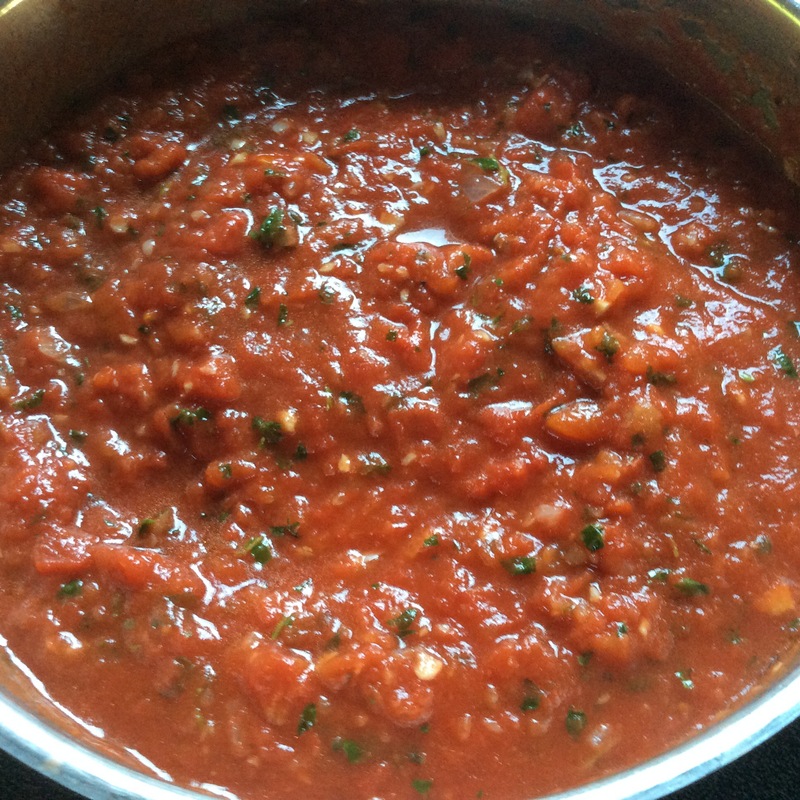 This is one version of my skillet tomato sauce , I like to change things up so this is a very versatile base! add extras, before I found out about the dreaded carrot allergy, I used carrots instead of sweeteners, also love to add red peppers, sundried tomatoes, small bits of jalapeños, mushrooms, even a little pumpkin! Heat olive oil over low in bottom of large flat bottom pan, add chopped onions. 2. I let the onions cook while I go pick my basil & oregano in the garden and chop it up really fine, about 5-7 minutes. 3. Chop garlic finely, I use a mini food processor. Add garlic, basil & oregano to onions and olive oil. I also add a little salt & pepper here, seasoning the onions helps them retain the flavor for later. 4. Now is the time to pour in your strained or crushed tomatoes. After adding the strained tomatoes, its time to prep the ripe tomatoes. I like to get them so the skin is already softening, because than I can skip the boil & peel method and go straight to peeling. I have this handy soft skin peeler which takes the skin right off the tomatoes. Than I chop up & basically use my fingers to throw out lumps. 5. 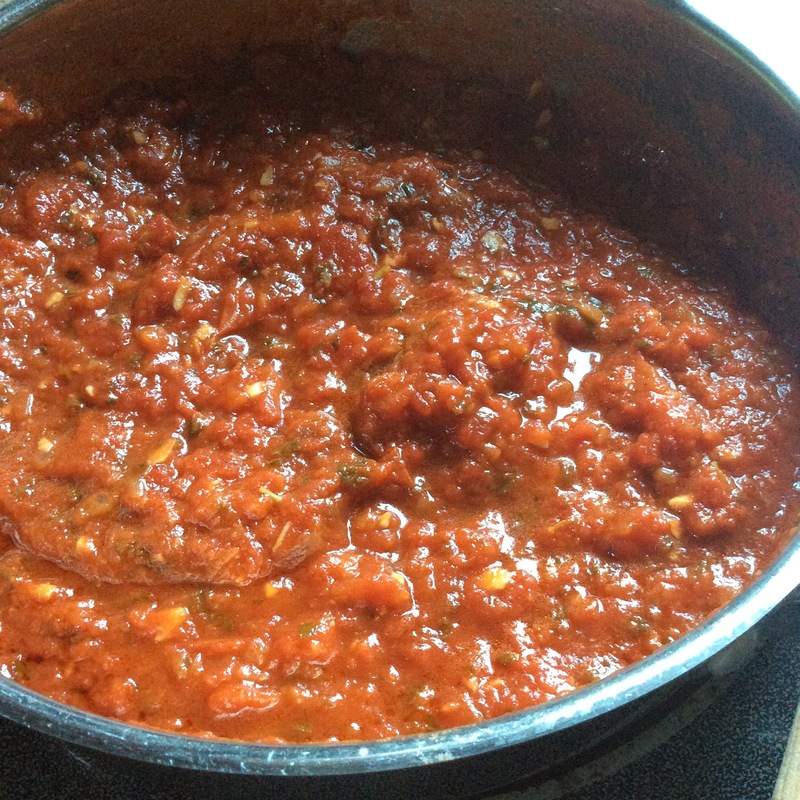 Add the chopped up tomatoes to the pan, the tomato paste, sweetener (if desired) and any extras! 6. 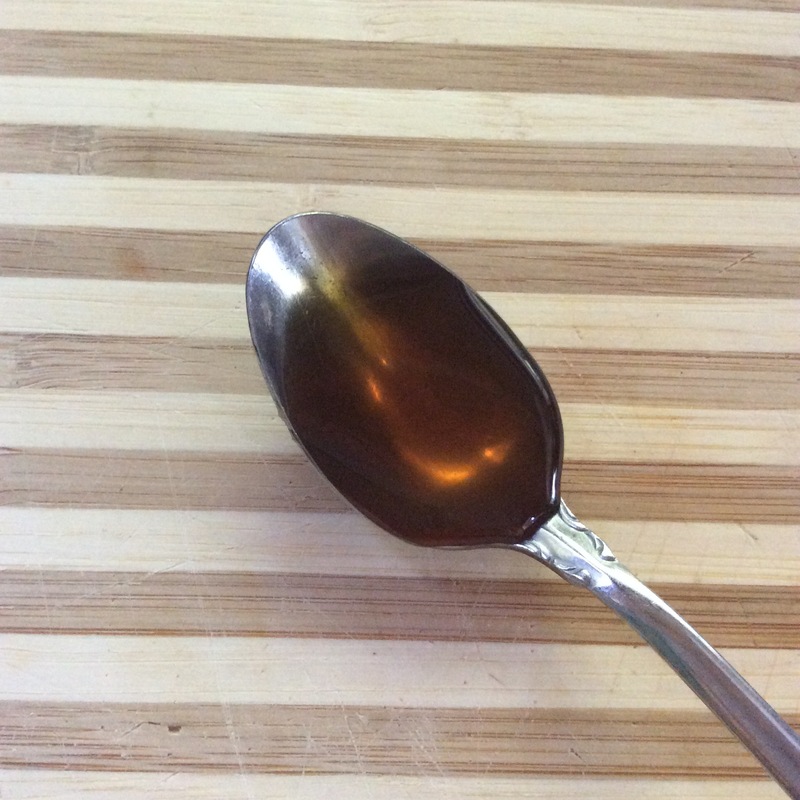 Allow to simmer over low as long as you want, I eat it after an hour or so, but its good earlier or later. This batch went perfect with some spaghetti squash!